Well when I say JUST got better that is a little white lie. I may have been sent the press release in APRIL and I may only have bought the pizzas yesterday. Eaten both today. But I got there in the end and boy was it worth the wait! 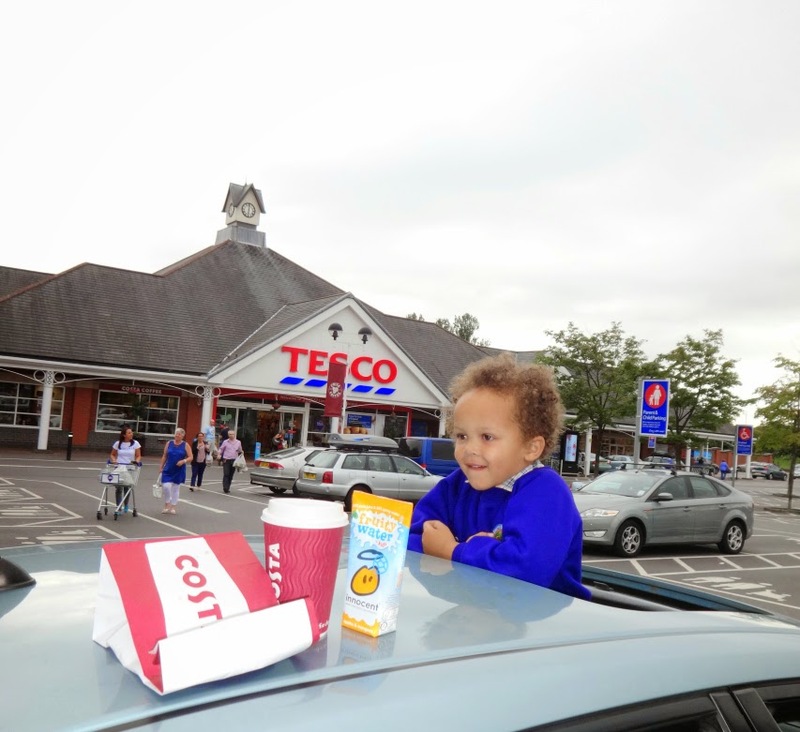 The big winners from the recession have been the supermarkets, as we all eat in now more than we ever have. the annual food bill for the average family will be over £4,000, up from £2,766 last year. "Food doesn't mean anything nice to me any more. It just makes me feel stressed," he says. "The cheap things we can afford are so tasteless and pointless that I often can't even be bothered to eat." So, when tightening our belts, a takeaway is out of the question but a fakeaway is not. 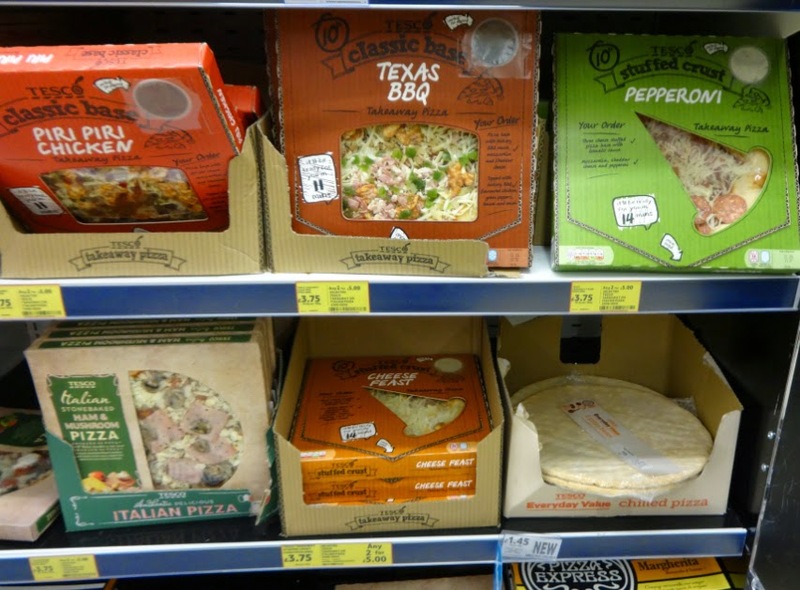 What I particularly LOVE about these pizzas is the realistic takeaway boxes they come in. They cook in 12-14 minutes and not many pizza delivery companies deliver THAT quick. You can't even moan that your delivery would come with dip as Tesco have that covered too. We got the cheese feast one and the pepperoni one. They both had a stuffed crust and were both divine. As you'll see from the pic above they are currently 3.75 pounds each or two for a fiver. I opted for the latter. So I bought both pizzas yesterday when we did our weekly food shop, but actually ate them today, downed with Amigos (Tequila flavoured beer) I bought whilst there. Yes, on a Thursday I was drinking beer. Back in my work days, pre-children, we used to call that a "school night" - nothing to do with kids or being responsible Aly. Just that it's not the weekend. The pizza really is delicious, and I eat a lot of pizza so am a bit of an authority in my house at least. They taste premium, due to the dough I have tried to give you a close up shot of. The stuffed crust is divine. 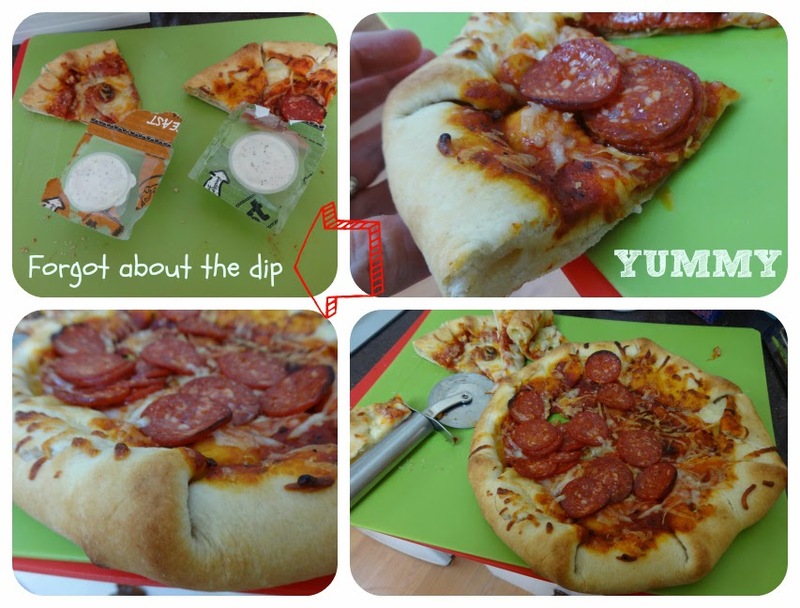 A really lovely touch is the dip, but because I am not used to having that with a pizza I have cooked myself I totally forgot to use it. I have two small slices of each flavour pizza left though, with a pot to go with each pair, as pictured. But considering me and Aaron ate the pizzas, I think I will leave those slices and dip for Daddy when he gets home late from work. Even though I think these pizzas are superb I wouldn't give them 10 out of 10, as my current favourite thing is when pizza has sun dried tomatoes and mozzarella on top, but that is a purely personal phase I am going through. Once I am over that, I'd say these come close at a 9 out of 10. If you fancy them, get them whilst they're on offer. I think I have whet the appetite of a few people over on Instagram.